started the A level risk emergency response at 5:30 am on September 24.
attack code scripts by means of constructing values of the environment variable. several foreign security organizations have made alarms. Dvldr, WormSasser, WormBlaster, SQL Slammer, WormMocbot, 熊猫烧香and so on. Note 3: you can download from http://ftp.gnu.org/pub/gnu/bash/. it, including HTTP, OpenSSH, and DHCP etc. little chance for Android OS to be affected by this vulnerability. of DHCP using Bash Shellshock. verification approach: suitable for theory verification. The command can change a=`/bin/cat /etc/passwd`;echo $a into arbitrary one to execute. strings of Referer, host, UserAgent and header and the corresponding hex “\x28\x29\x20\x7b”. after being corrected by netizen@TeLeMan, you can find it atAcknowledgement. variables and allow arbitrary commands to be executed. solution given in Section 3 can be used to make the update. range of function definitions and make legal parameter determination. 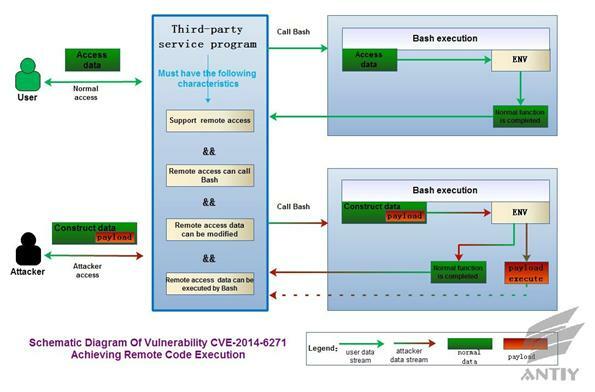 pay our attention to the detection and judgment of the Bash vulnerability. morning, we have reacted from biting the bullet to knee-jerk getting up. possibly used as secret weapons. No more malware names are known to the public. be perfect because time is not on the defender side. security disaster is destined to become the script of conspiracy. progress because people always take security as a matter of course. improve because threats are generalized and inherited. more and more complex and difficult to solve. WeChat. It helps us initiate the analysis response early in the morning. l Thanks for the guide and feedback by CNCERT/CC. l Thanks for the help from Knownsec and 360. Sheng, Yu Xian, Pan Zhuting and Zhao Liang. discussion in X-CERT which is a loosely structured SNS-based organization. Wang Qi(KEEN) and other members. So the vulnerability is officially names as 破壳. 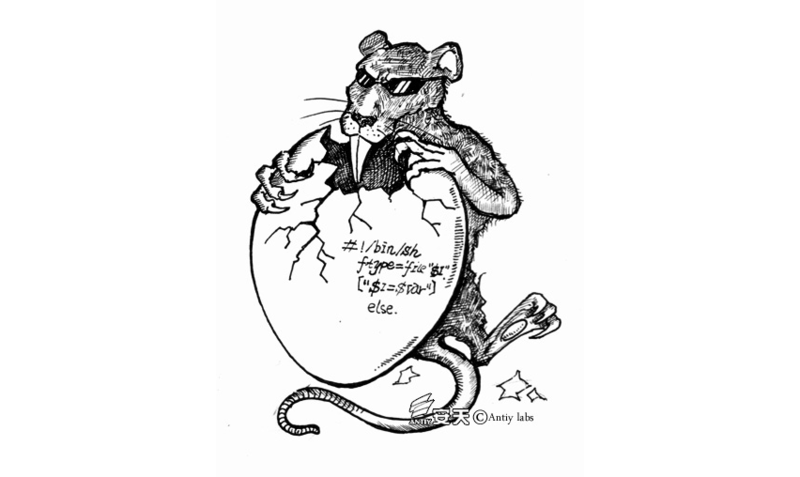 revised,domestic references part revised,about Antiy Labs added.